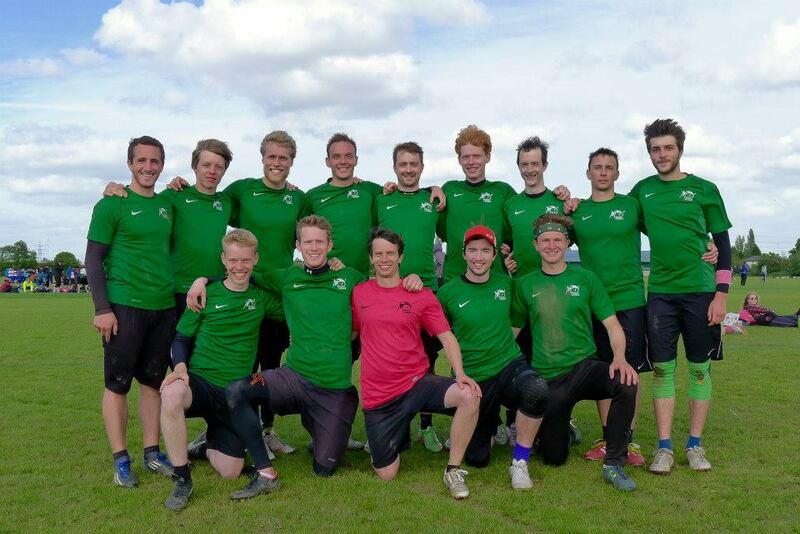 This was my 14th year as an ultimate player, my 11th at club level and the third since we formed the Glasgow open team. It’s been a lot of fun developing the club over the last few years and incredibly rewarding to have so many people involved . 2015 was a breakthrough season as our hard work has started to translate into on field results and we are at last competing with the UK’s elite. From a personal perspective it has been one of the most exciting seasons so far. I thought I’d write about it. Wet to the core, stripped to our under layers and hugging hot water pipes for warmth. 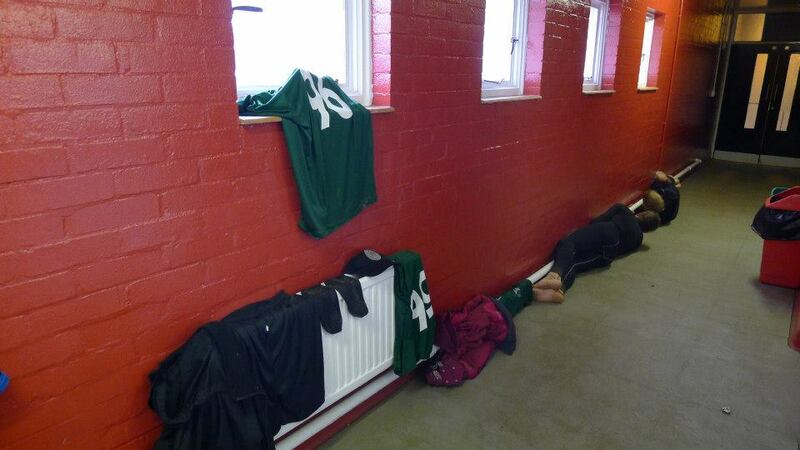 An assortment of socks (including Chris and Lulus matching pairs) lie dripping from the radiator as the wind howls through the gaps in the bricks. Saturday had been tough and we had struggled in the wind against the top teams in our group but Sunday was a whole different challenge. We had lost our first game on the toss with zero upwind points scored, cutting was more like swimming, several teams had already gone home and the UKU were advising teams not to play on. “Right, let’s get out there and finish this!”. We had trained hard for 3 months through snowstorms and torrential rain; a little bit of wind wasn’t going to stop us now. Due to some reshuffling of teams our 9th place finish at Mixed Tour 1 allowed us to sneak into a top 8 seed at Mixed Tour 2 and importantly gave us a chance to win the tournament. I was unable to attend this tournament and instead spent the weekend anxiously checking my phone as the updates from group games came in: Three nil down to Reading (MT1 champions)…sudden death win…four points down against Bristol…sudden death win…trading with GB under 23s…sudden death loss. What a day, nerve wrecking from my point of view but again the team had showed their fighting spirit to play to the end and earn a semi final berth. Sunday morning: “Glasgow 14-10 Thundering Herd”. By this point I was fairly sure I was on the receiving end of an elaborate practical joke but the UKU website confirmed Glasgow as victors to set up an all Scottish final against Black Eagles. Then the post came through, a picture of the squad with their index fingers raised to the sky and the text “Officially number 1 in the UK”. It turned out all we needed was a bit of confidence; those gritty displays on Saturday had enabled the transformation from contenders to champions. Suddenly we were a squad full of belief, our dedicated pre-season was paying off and our talent realised. Having entered the first event hoping to challenge for quarterfinals we were now sitting top of the rankings. In the third and final event of the mixed season we confidently made semis but lost a group game in sudden death to Black Eagles. Unfortunately this game ultimately decided the Tour trophy as while we matched Great Britain for much of the semi final we couldn’t keep up with them late in the game. Black Eagles won their match and although they lost the final it was enough to secure Tour victory (international squads were ineligible). Second place may have seemed disappointing but the overall feel was one of energy and excitement to be part of a team competing for trophies and going up against international squads. Our runner up trophy was a victory for the whole club and reward for our entire squad. Across the 3 events 26 players, including several beginners, competed for our first team and contributed to our most successful mixed season ever. By the time open and women’s season came around the hype had not subdued. In fact we were able to enter 3 teams in to Tour 1. 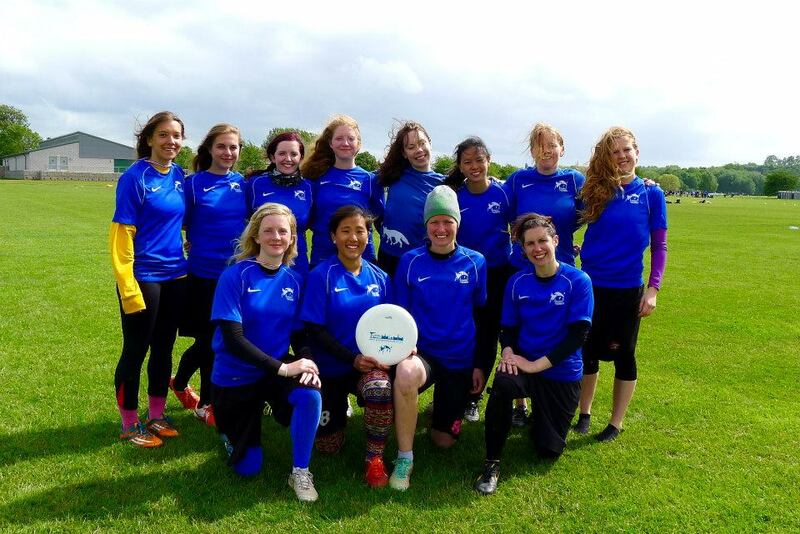 Our second team proved their credentials in C Tour only losing 1 game all weekend and our women put in a strong showing against top teams in only their second competitive performance ever. The firsts were looking to maintain the momentum of the mixed season and qualify for quarterfinals by getting through their group on day 1. Starting with another sudden death win from behind against GB masters set the tone for the weekend. We had become a hard working, talented team and crucially we believed in ourselves. We followed this up with solid wins against GB U23s and Chevron, which saw us top the group with a game in hand. Facing Kapow on a Sunday morning in a Tour quarterfinal was where this team deserved to be. The overwhelming feeling was one of pride and justification. It had been a year since we beat this team in sudden death and judging by their ferocious energy in the first point they hadn’t forgotten about it. It was clear this was going to be a step up in quality; pride would not be enough to carry us through. Trailing for most of the game we managed to scrap to stay in touch and eventually found consistency towards the tail end to force a sudden death point. Our defense was solid, a part of our game we developed and evolved this season to become a tireless unit working towards common goals. We managed to keep them contained around their goal line and eventually forced a floaty pass across the endzone. 3 men went up but only 1 man in green came down with the disc. 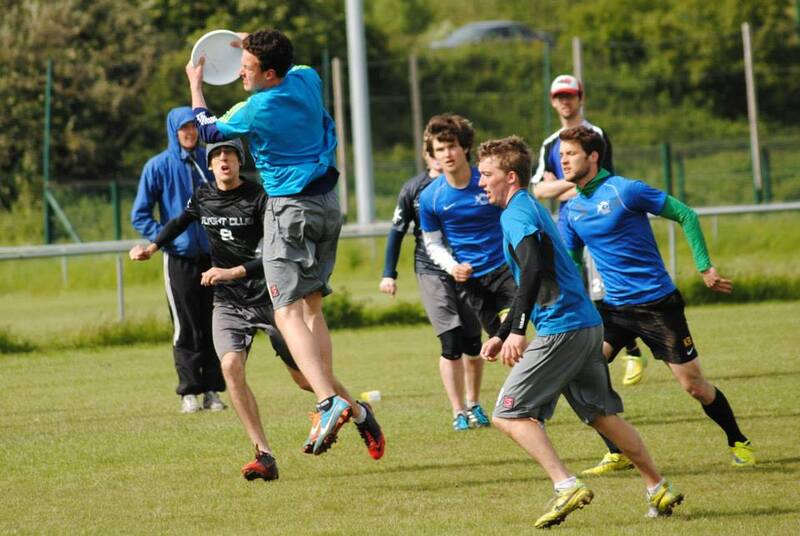 Callahan, sudden death win, is there a better way to make semis? We met our match in the semi finals, falling victim to the GB open squad but finished the tournament as the second placed club team. 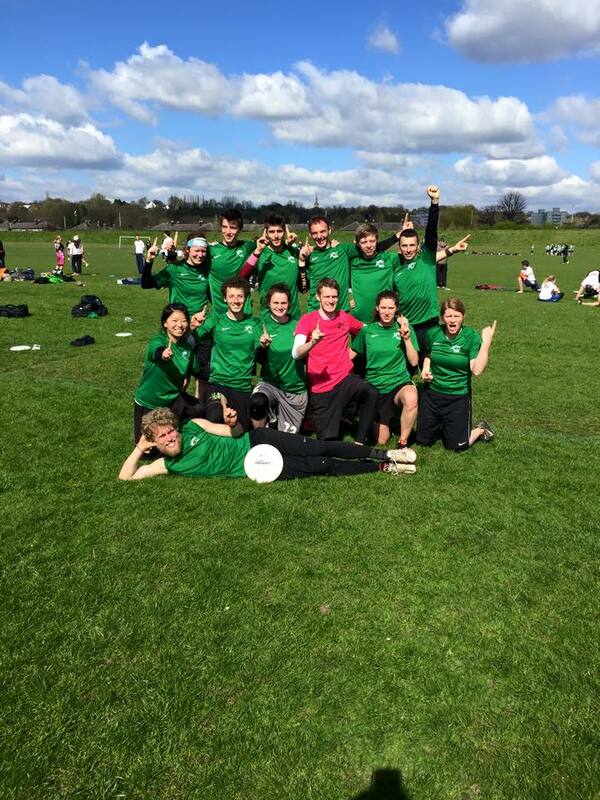 Finally the world was starting to take notice of Glasgow Ultimate, even if The Show Game still didn’t fancy our chances at Tour 2. Tour 2 was my highlight of the season and I’m probably not alone in that. Dubbed “London’s Calling” it is the largest tournament in Europe with over 100 teams competing including several international squads and overseas club teams. The best thing about this tournament was that we went in to games expecting to win against the top teams. We were no longer hopeful underdogs, we were favourites and confident that we had a group of players that could match any other squad. We had featured in the semi finals of the last 3 UK tournaments and we intended to keep on rolling. We made it through our group with hard fought wins against Emo and Ranelagh and a close loss to France. However, our best performances came in the quarters and semis as we comfortably beat Manchester and closed out a tight match against Ireland. At no point during these games did I feel we were capable of losing and at no point over the weekend did I feel like we were over achieving. Getting to play an open Tour final against GB was a reward this team had earned. It didn’t start well, perhaps it was nerves, tiredness or just bad luck but we managed to put up a fight in the second half eventually losing 15-11. I hope everyone playing that game enjoyed it and I also hope that they learned from it. Next time we will be more prepared. For the second time this year we found ourselves top of the Tour rankings with one event to play, this time our lead was virtually unassailable. However, we never intended to play Tour 3 as we traditionally struggle to get numbers to Cardiff that late on in the season. 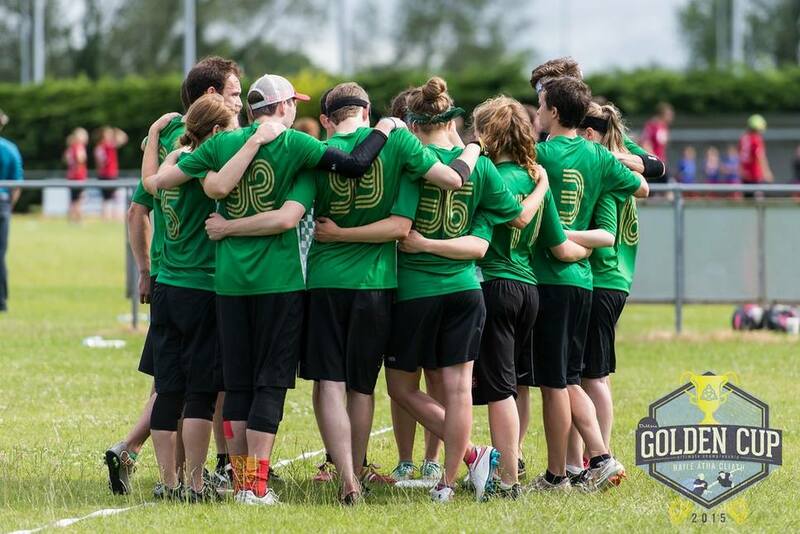 Instead we opted for a weekend of Guinness and spike ball by sending our Mixed Team to Dublins Golden Cup. We had a great weekend in our limited edition shirts taking some international scalps and finishing 5th as the top placed club team. It was an odd feeling not making a semi final this time round, we came out on top in most of the matches we had a chance to win but a couple of the national sides were a step above us. We were not far off matching the Ireland and GB squads and I think these games gave us a goal to aim towards next season. In the future we will look back on this season and say “remember that time we nearly won Mixed and Open tour in the same year?”. The history books won’t reflect the true story of this season but then they rarely do. They don’t show the hard work and the camaraderie that goes in to a season. They won’t report the spine tingling cries of “What’s the score?…..Who’s it about?” as we clawed our way to back into matches. Perhaps we should say “Remember that time we made a bit of effort and believed in ourselves and played 4 out of 5 Tour semi finals and 2 out of 5 finals and beat a whole bunch of international teams? That was fun!”. But we should also remember the role of chance. Remember that dedication to training and playing as a team gave us great opportunities but that luck also plays a part at tournaments. A sudden death point here or there and the season may have had a completely different complexion. My mind winds back to Mixed Tour 1 and wonders how different our year might have been had we lost the toss in that final game. Had we suffered a cruel defeat to the wind and ended bottom of our group in 12th position. We could not have won MT2 and we would not have been competing for the Tour title at MT3. Without that momentum and belief in the team would we still have gone on to succeed at Open Tour? Post tour season our success continued as we wrapped up the Scottish Tour title and won the Scottish qualifier for UK nationals. With club teams back to full strength this was going to be the real test of the season. 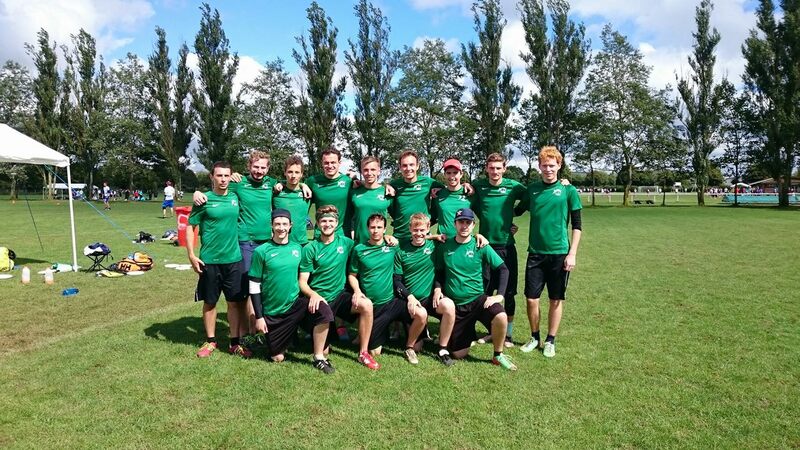 Previously our highest place finish at Nationals was 13th but this year we had aims of finishing in the top 8 and hopefully qualifying for European championships. Given the toughest draw possible we came out firing and convincingly defeated Manchester showing just how much we had continued to improve. We lost our quarter to Fire of London as we struggled to live with the intensity that their large squad brought to a hot midday game. Round 3 put us up against Brighton with a chance to go within 1 win of European qualification. A slow start had us 10-5 down having also lost Rory and Ali to sickness and injury. The second half of this game was possibly our best of the season. Something kicked in to place and we went on a roll to eventually lead the game 13-12. It was fantastic to be part of a team with that fight, determination and belief to turn around any score line. In the end luck may have abandoned us (perhaps we’d already had our share), we lost 14-13. Brighton went on to finish 3rd and we lost to a very dangerous Emo side that had suffered a shock defeat earlier in the tournament and were making their way back up the rankings. 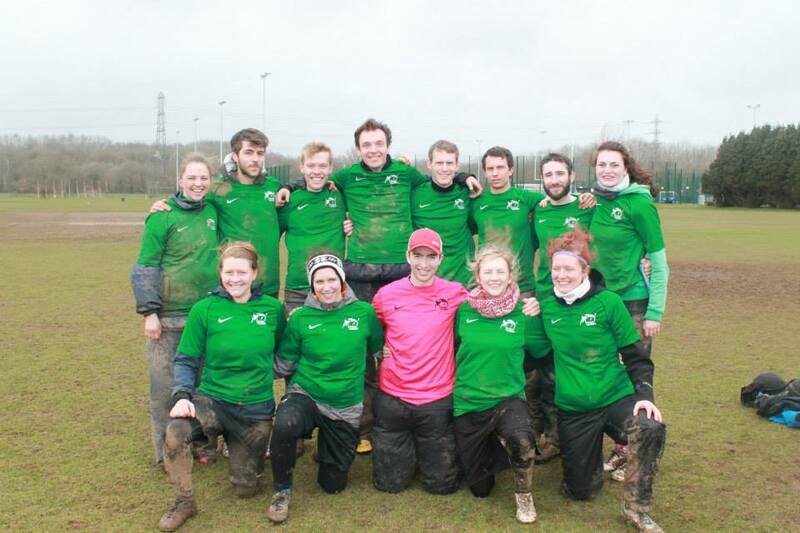 We did manage to round off the tournament with huge wins against Birmingham and Manchester to finish 9th. It’s a shame we didn’t get to play the teams that finished 6th-8th but we’ll have to settle those scores another time. Nationals can be a heartbreaker; the pains of losses, mistakes and regrets are not easily healed by the prospect of the next tournament. It is the end of the season. It will take a year to put it right, another year of bitterly cold winter training sessions, pre-season vomit inducing hill sprints, hours spent lifting weights, running intervals and pushing yourself to do one more frog jump. 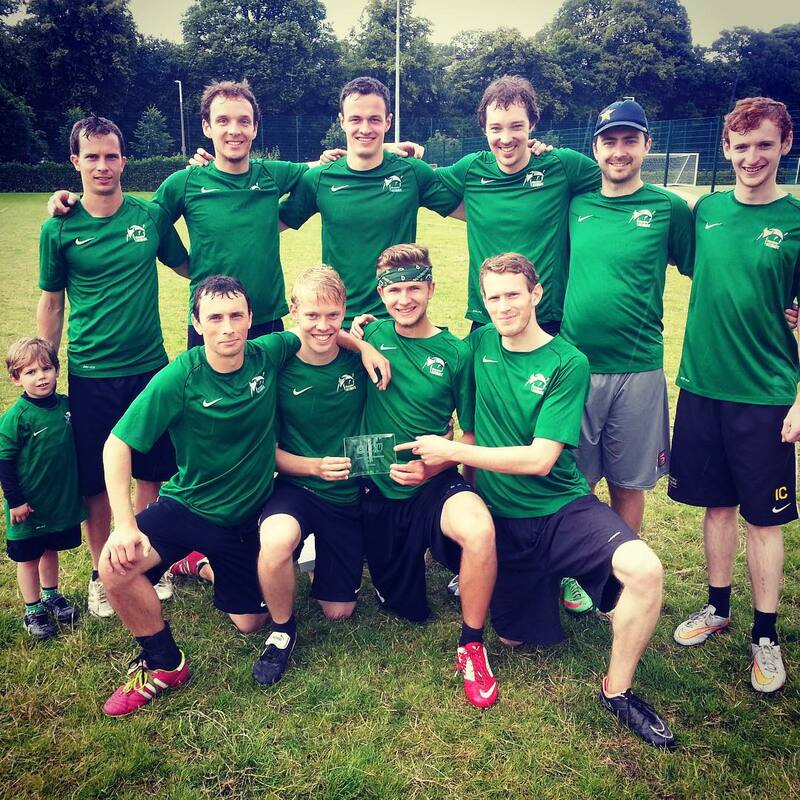 Another year of wins and losses, of sudden death points and games decided by the flip of a disc. Another year spent learning tactics, mastering plays and building the team into a stronger unit. Another year developing new recruits in to A tour players. Another year of indoors and summer league. Another year of weekends away with team mates, friends and goal hack enthusiasts. Another year being part of this team. Beautiful. Hope my injuries let me be and I can be part of it next season.